Brew the tea for 3 minutes in boiling water. Pour the brewed tea into a jug with sugar and coconut water and mix. 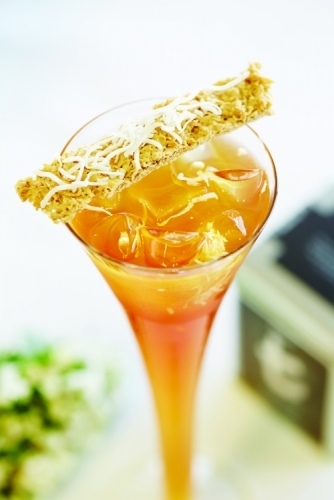 Pour over ice and add Earl Grey Lace and coconut threads to garnish. Mix ingredients until they come together. Freeze the dough. Grate with a microplane and bake at 160C for 3 minutes.